This week on From Page to Screen I'll be tackling The Fault In Our Stars by John Green. Here is a bit of back story in case some of you aren't familiar with the novel. The Fault In Our Stars is a novel written by Author John Green. It was originally published January 10,2012 by Dutton Books. Upon release The Fault In Our Stars received highly positive reviews from both readers and critics alike and as of January 2013 there was nearly 1 million copies in print. Fun Fact: The title The Fault In Our Stars was inspired by Act 1, Scene 2 of Shakespeare's play Julius Caesar, in which the nobleman Cassius says to Brutus: "The fault, dear Brutus, is not in our stars, / But in ourselves, that we are underlings." This week, I'll be reviewing This Is Not A Test by Courtney Summers. This Is Not A Test is a book that I've wanted to read since originally published but never found the time to. Needless to say, after all they hype, I was excited to read this one. However, expectations versus reality came into play here. While I certainly liked the story, I also was let down by it. To find out why, continue reading on. The stench of rotting flesh is in the air! 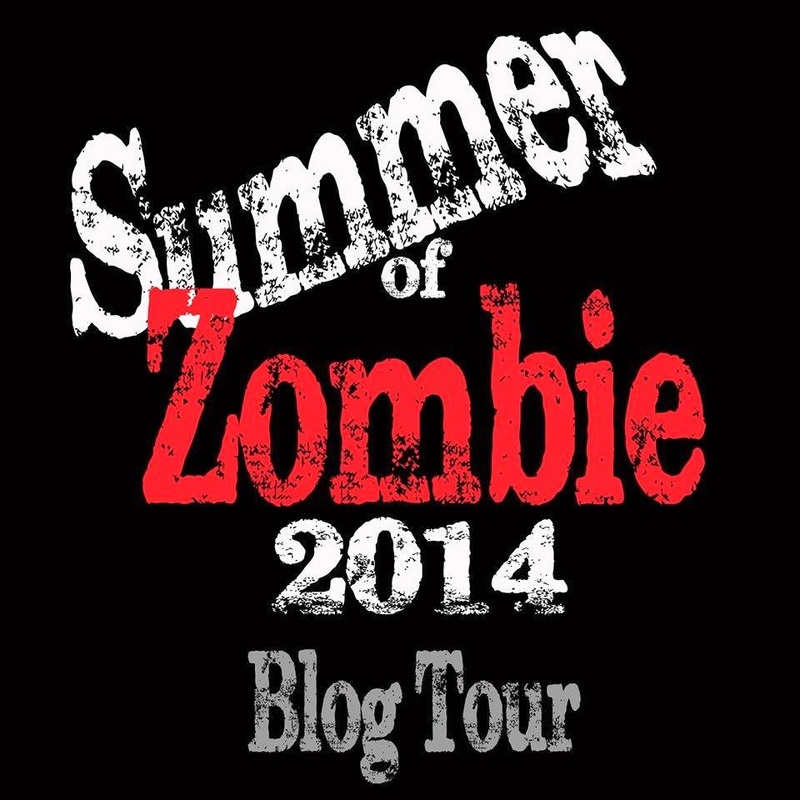 Welcome to the Summer of Zombie Blog Tour 2014, with 33 of the best zombie authors spreading the disease in the month of June. Do you still get excited about new books as you did when you were little? In general? New books in particular, like from a favorite author? Or do you look at all new, unread books with the same level of anticipation? If it's something I really want to read I can't help but be a bit more excited about said books release over others that I'm currently waiting on. That's not to say I'm not excited about the others but when you know it's from an Author and a series you love it makes the book a bit more special. At least it does for me. Do you look at all books with the same level of anticipation? If no, what makes some books different than others? Waiting On Wednesday is a weekly blog post hosted by Breaking The Spine where readers showcase which books they are highly anticipating. Since this is my 100th Waiting on Wednesday, this week, I'm choosing to share two of my most anticipated sequels releasing in the next couple of months, Mortal Heart by Robin LaFevers & A Cold Legacy by Megan Shepherd. Janet and Paul have headed to the sun in an attempt to work through their marital difficulties. When the poolside erupts in carnage they soon find themselves fighting for their lives against the other hotel guests who have been driven into a frenzy of violence and bloodshed. Will they make it out of the hotel alive? And if they do will there be anything worth escaping for? ReviewSunshine follows the story of married couple Janet and Paul who have taken a holiday at a seaside beach resort to repair their broken marriage. Unfortunately for the couple, they soon find themselves in the fight for their lives when the guests start turning into crazed maniacs and start attacking each other. Now on the run and with no clue what's causing the outbreak the couple must turn to each other to survive or risk being consumed by the madness themselves. Unless you've been living under a rock or happen to *gasp* hate soccer you'll know that World Cup Fever is in full swing all over the Globe. Naturally, that means it is time yet again for another Movie Recommendation Monday! This week all my recommendations will be focused on, you guessed it, Soccer or should I say Fùtbol for all you International fans out there!! The films range from the serious to the silly but all are sure to please any fan of the game. Shaolin Soccer is a 2001 Sports Comedy starring Stephen Chow and Vicki Zhao. Shaolin Soccer is about a Shaolin Kung Fu Master (Chow) whose goal in life is to promote the art of Kung Fu. That is until he meets legendary Soccer star "Golden Leg" Fung and is introduced to the world of Soccer. Think Bruce Lee meets Soccer and you basically have the premise of this film. This week, I'll be reviewing Broken World by Kate L. Mary. Despite some of the small issues that I had with the story, Broken World turned out to be quite an entertaining read and one I'm so happy to have had the chance to review. Chasing the Star Garden by Melanie Karsak [Purchase] Free til 23rd!